While announcing numerous innovations for 2019, the organizers of Baselworld, the world’s most important trade show for watches, jewellery and gemstones, responded with regret to Swatch Group’s announcement of its intention to stay away from Baselworld 2019. Michel Loris-Melikoff, who became Baselworld’s new Managing Director on 1 July 2018, explained that the transformation of Baselworld from an order platform to a marketing, communications and events platform will be prioritized in 2019. New formats and ideas will be presented and implemented. The highlights from Les Atéliers, i.e. the best creations by independent watchmakers, will be presented in Hall 1.0 South, which was not used last year. Hall 1.1 will be the venue for “The Loop”, an area which will present an exhibition about the art of watchmaking (“Métiers des Horlogers”). A diverse selection of catering options, ranging from takeaway to an exclusive three-star restaurant, will be available for exhibitors and visitors. The catering areas thus move from the show’s periphery to its centre. Another highlight is the new “Show Plaza” in Hall 1.2, which will bring together the best jewellery manufacturers. A 240° catwalk with numerous LED screens will make it possible to stage jewellery in totally innovative ways. 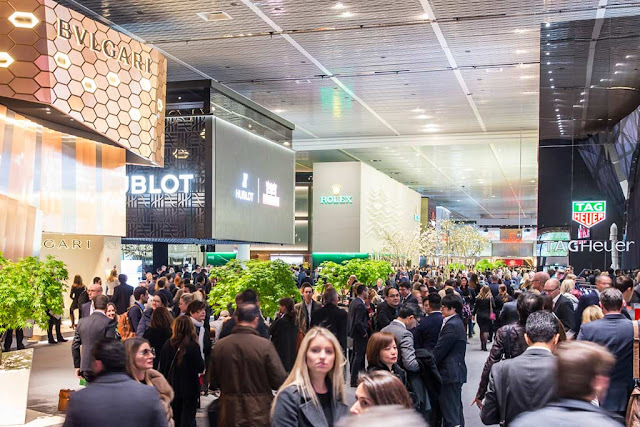 The organizers of Baselworld explains the new formats and ideas that will be implemented for the 2019 edition of the show.